It would be pitch black in the caverns were it not for lighting that’s been installed. Here I took advantage of that lighting. …I’m not one of them! Ha! I did, however, have very good fortune to roll into Mountain View, Arkansas at a propitious moment. I’d come to Mountain View on my way south from northern Minnesota, through Iowa, then Missouri heading toward Louisiana. I’d been traveling south in hopes of tracking favorable weather. My regular readers will know that I’m on an extended See-the-USA-in-an-RV trip, a trip that is now in its 7th month. 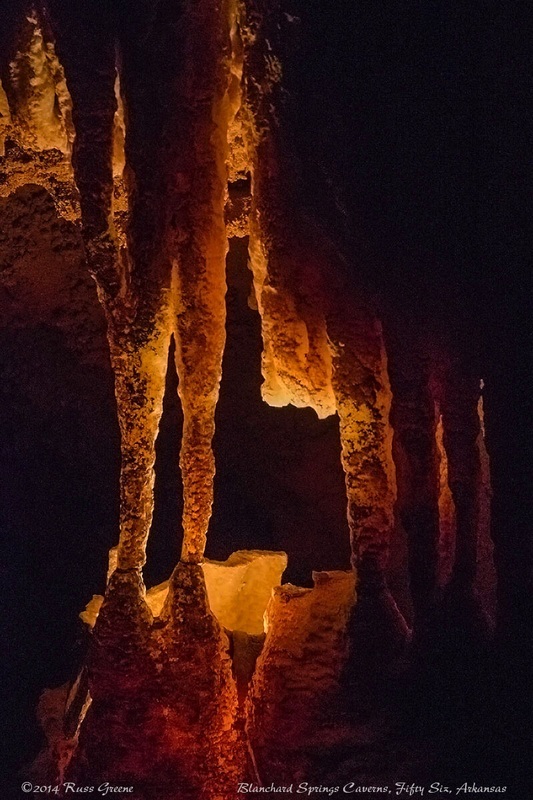 I’d heard about an amazing underground wonder-world called Blanchard Springs Caverns and I wanted to see the place for myself. These kids, ages 9-12 or 13, charmed the audience at the Mountain View Bluegrass Festival. Do you like bluegrass music? I do. If it’s good, of course. I like lots of different kinds of music, the most notable exceptions being opera and rap. I grew up in a musical family and for a spell I made a decent living as a musician. That was long ago, ah, but I digress. I asked if you liked bluegrass music, mentioned that I’d rolled into Mountain View at a good time, and mentioned luck because the weekend I was in Mountain View turned out to be that of the annual Mountain View Bluegrass Festival. This festival draws some of the best bluegrass talent and it tends to sell out. It was just by luck I arrived when I did and another bit of luck I had was arriving at the box office just in time to snag one of the last tickets available. 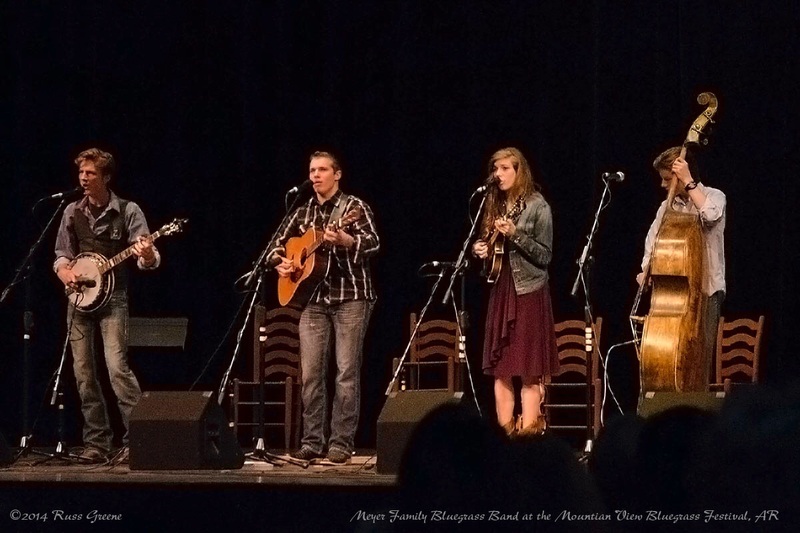 Three brothers and a sister, the Meyer Family Bluegrass Band, mix great music with sibling rivalry humor. Bluegrass music has a tendency to make you want to slap your knee and get up and clog dance, that is if you’re alive. It’s joyful and rocks in it’s own inimitable way. I do admit that to my ear it tends to sound very much alike from one tune to the next, but I still love to get an earful from time to time, and it was an earful I got at the Mountain View Bluegrass Festival. 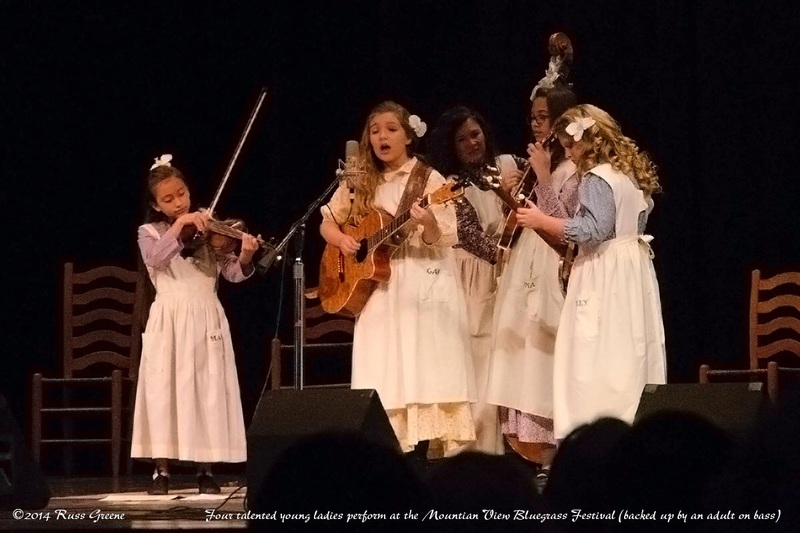 The show opened with a quartet of young ladies ranging in age from 9 to 12 or 13. Not only were they sweet, cute, and charming, but they were pretty darned good. It was heartwarming to watch them perform and even though I had no relation to them and don’t even know their names, I was very, very proud of them and a tear came to my eye. 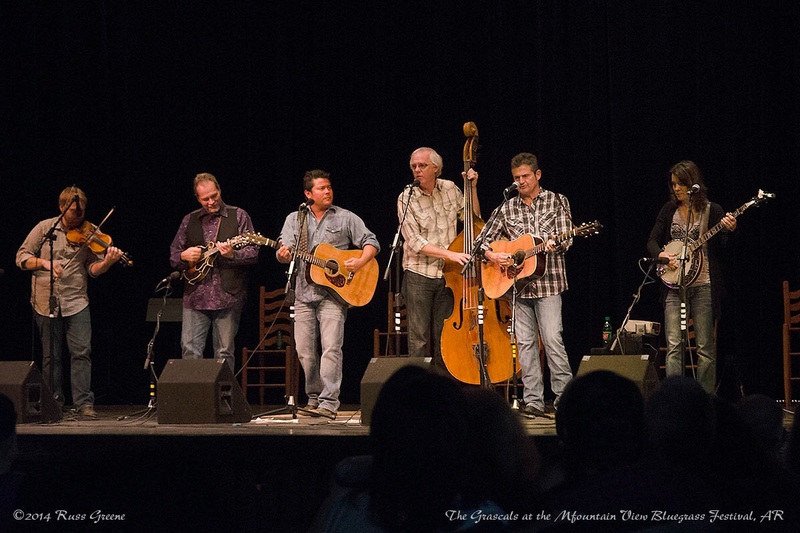 Top American bluegrass band, The Grascals performing at the Mountain View Bluegrass Festival. As the show progressed the talent impressed. Hey, I made a rhyme. Ha! The groups included: the Meyer Bluegrass Band, Jeff Brown & Still Lonesome, Monroe Crossing and the Grascals. I like bluegrass, as I wrote above, but I don’t really follow it, so none of these names were names that I recognized. I’ll tell you though, they are all dang good. The Grascals have been nominated for awards in the International Bluegrass Music Association. Within the group you’ll find Kristin Scott Benson, four time winner of the association’s bluegrass banjo player of the year. She’s kickass amazing. Also in the group, Danny Roberts, twice honored by the Society for the Preservation of Bluegrass Music of America as Mandolin Player of the Year. Check out this YouTube video of the group performing Bugle Call Rag, but I warn you, be ready for lotsa toe-tappin’ joy! There was so much fabulous talent spread across all the groups performing. I feel truly fortunate to have had a chance to listen to all these fine performers who have dedicated their lives to their crafts, making music for us to listen to. How empty the air would be without these sounds. My heartfelt thanks to all of you who performed at the festival. 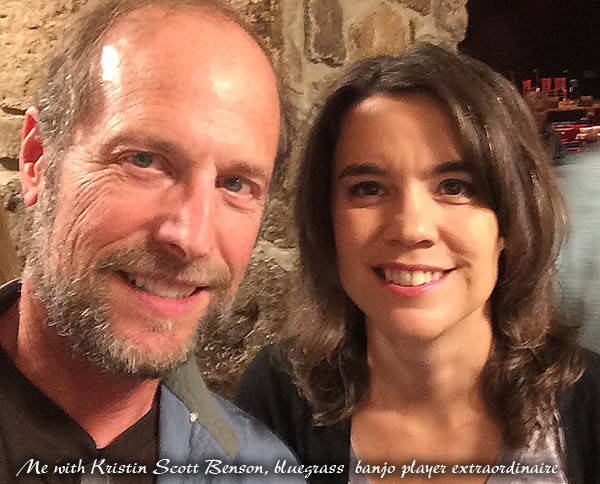 More good luck… I got me an autographed copy of Kristin Scott Benson’s latest album, Second Season. Now if ya’ll will ‘scuze me I gotsta gitup and go do some cloggin’. Yeehaw!